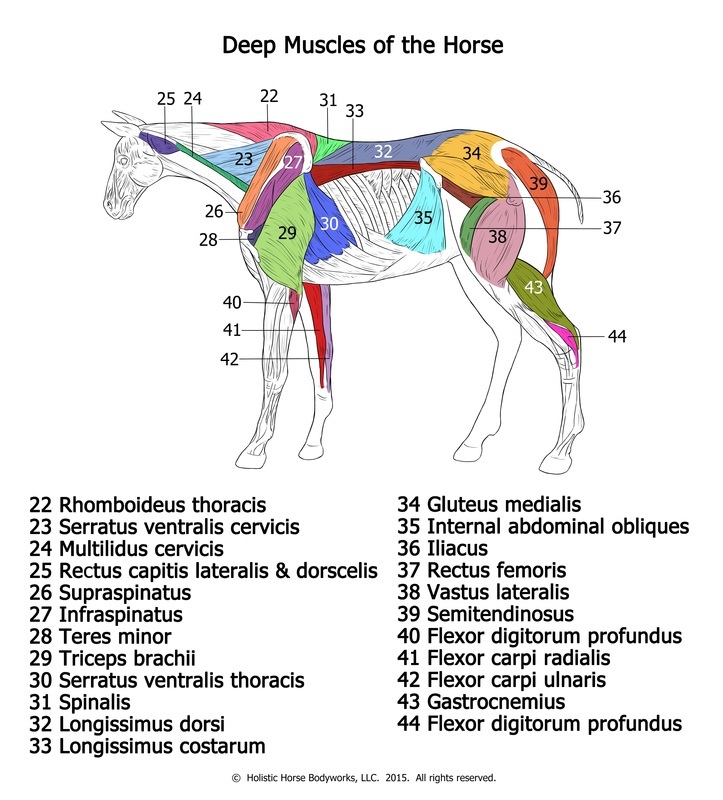 This page contains color coded pictures of the horse's hind end, deep and superficial muscles. 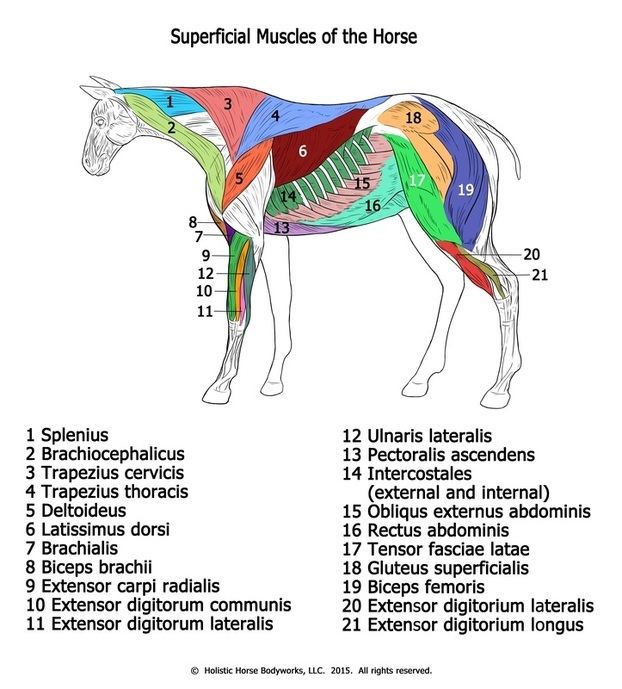 The pictures will help you "see" which muscles you are stretching! 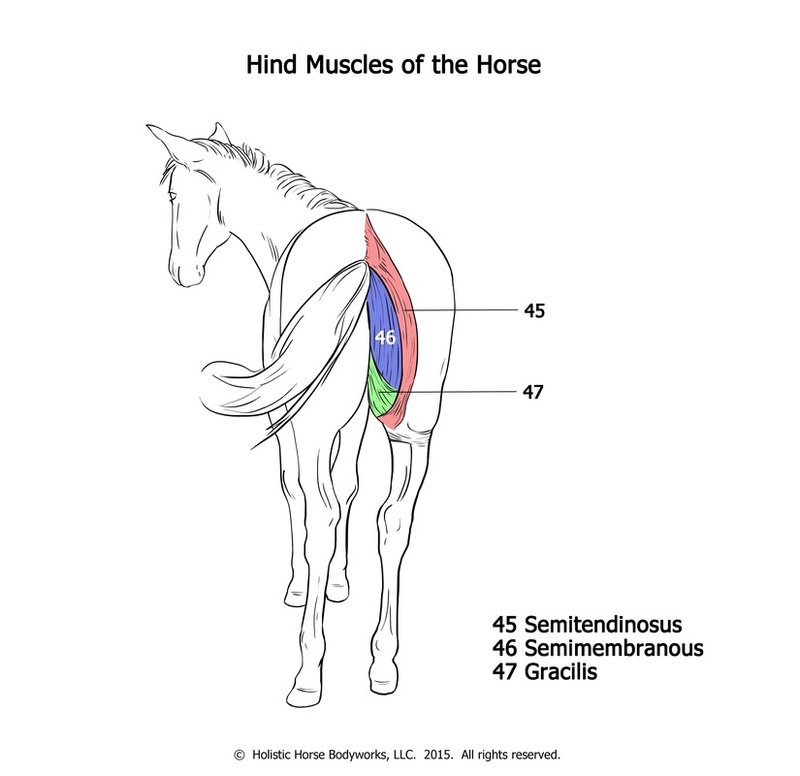 All images are contained in the Stretch Your Horse App for free!